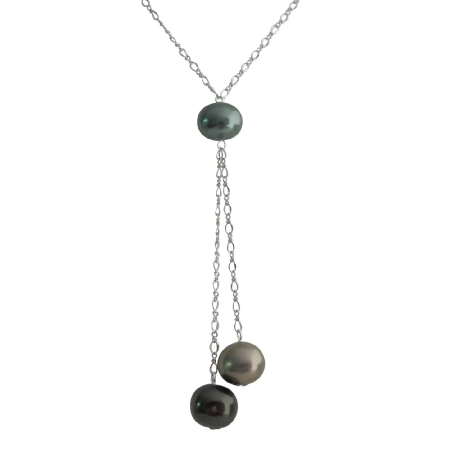 Worn in so many ways this classy lariat Necklace has Oyster shell Pearl Green Pearl on the top with dangling Tahitian Pearls & Necklace adorned in gorgeous silver rhodium chain breathtakingly beautiful necklace & we can make matching earring on your rquest. This necklace is a great gift to female friends & relatives. Are you looking for your girl friend valentine gift or Mothers gift you are at right place to shop.